Jensen partnered with visual artist Ann Hamilton to create a performance venue that’s a work of art unto itself. 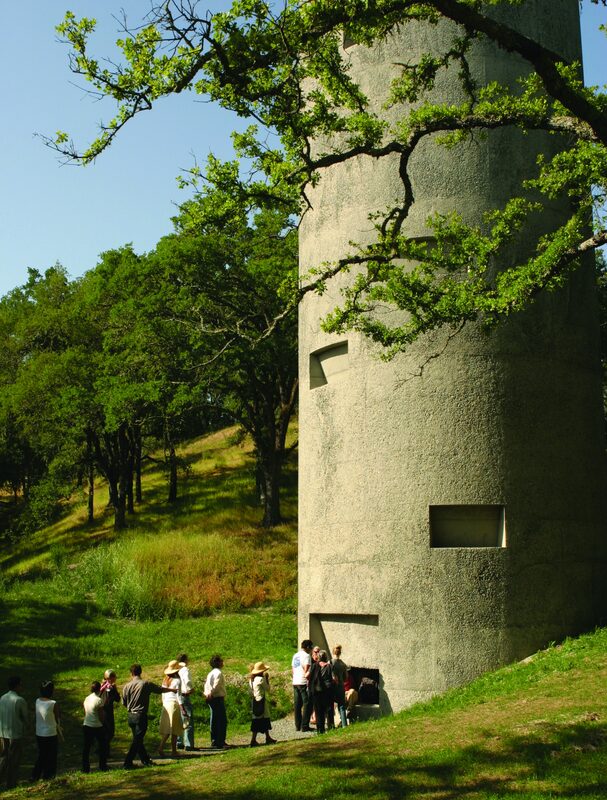 Over the years, longtime arts patrons Steven and Nancy Oliver transformed their 100-acre sheep ranch into a home for site-specific artwork, and one of the most celebrated works on the site is Ann Hamilton’s tower. Jensen Architects, who had worked with the Olivers in the past, came on board to develop and realize Hamilton’s vision, and after three and a half years of collaboration, the tower was completed in 2007. Today Jensen hails the project as one of the firm’s most rewarding experiences. 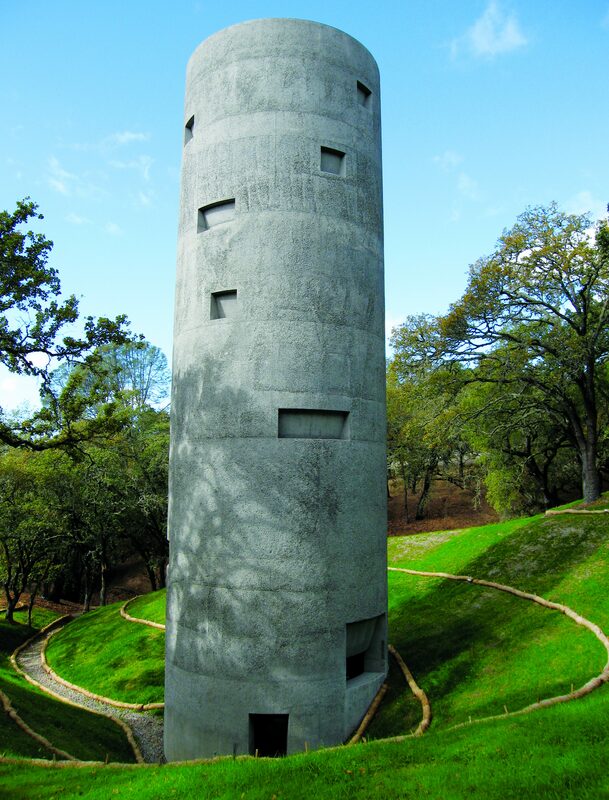 Hamilton’s design is a monumental cylindrical sculpture in the landscape, and it is the visual artist’s first permanent installation. It is an extraordinary and magical performance space with sonorous acoustics. 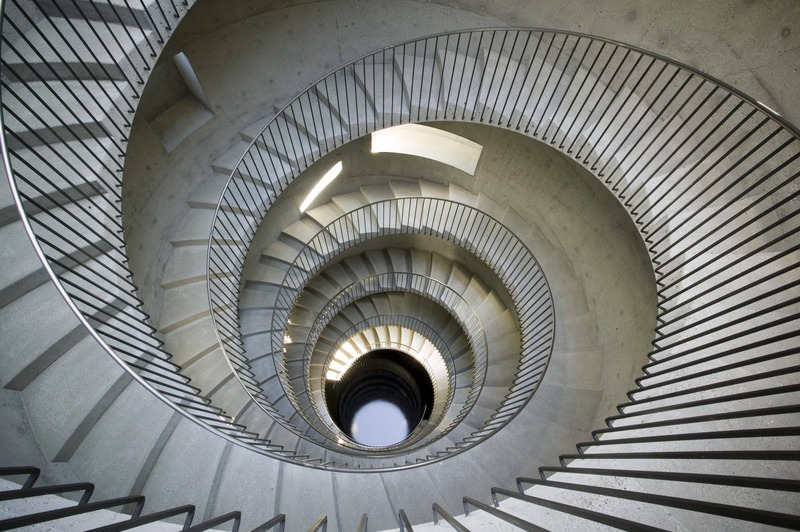 Roughly 70 feet tall, with a foundation of equal height extending underground, the building was inspired by a centuries-old well that contained double helix steps. 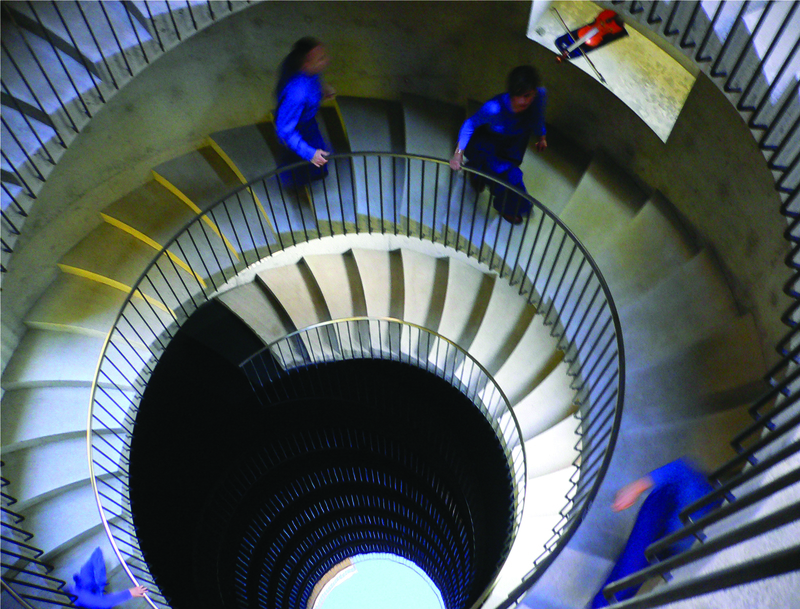 Here the twin staircases, each consisting of 128 steps, serve as “stage” and “seating,” intertwining performers and audience without letting them connect. 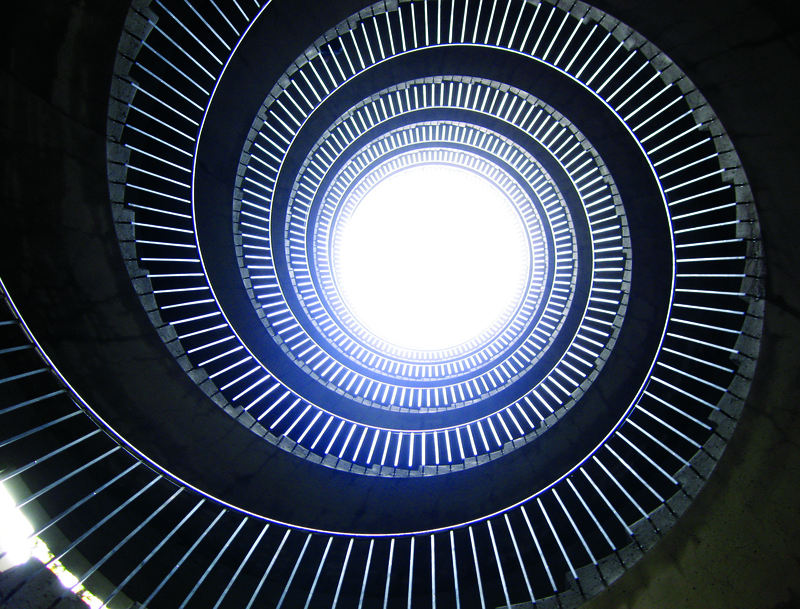 In imaging the tower, Hamilton also was sculpting an experience punctuated by moments of surprise and discovery. At its base, visitors encounter not a door but a fixed aperture, requiring them to crouch down and almost crawl to gain entrance to the soaring interior. 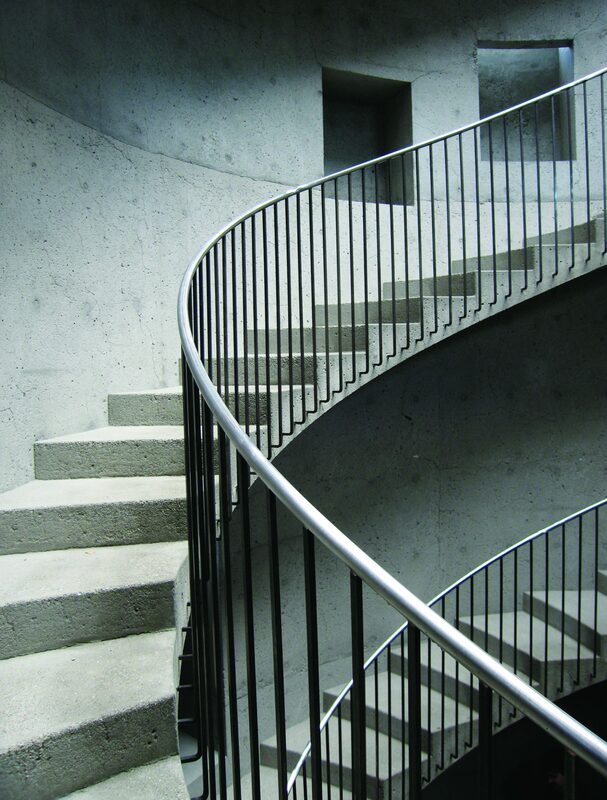 As they ascend the stairs inside, they discover varied niches set into the 28-inch-thick walls, some large enough to sit or even lie down in. 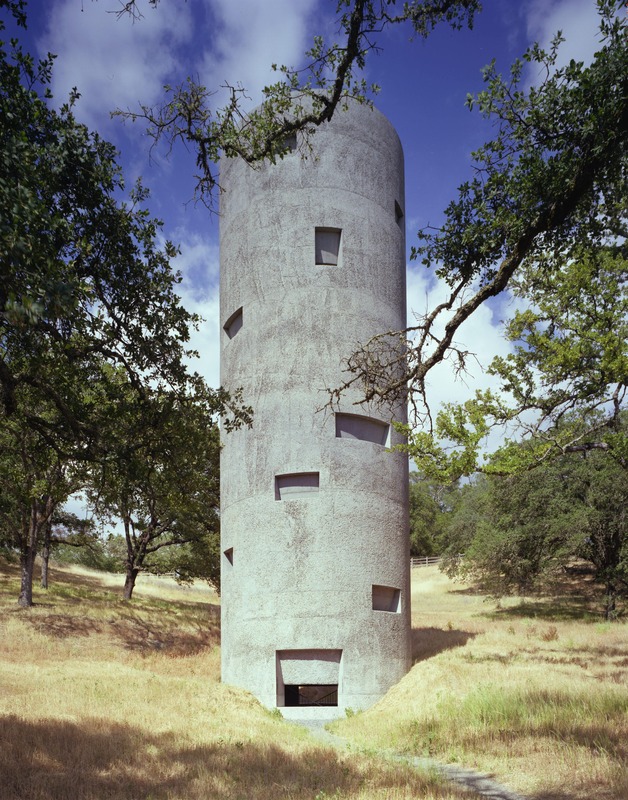 The niches admit splashes of light without revealing the views and provide vantage points for taking in the stunning optics looking both up and down the cylindrical volume. 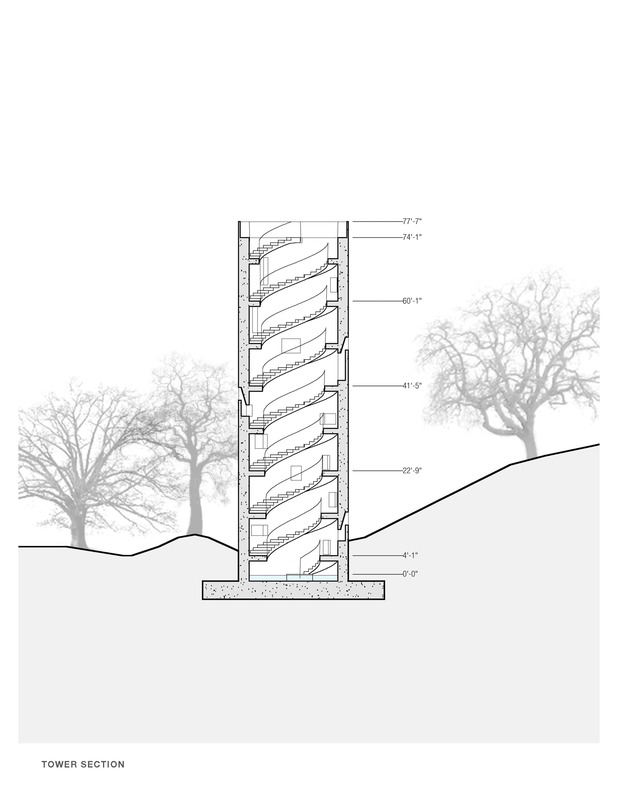 At the bottom of the tower is a reflecting pool that catches the sky. And there’s a wide range of performances to enjoy here: live music, singing, spoken word, theater. Perhaps most spectacular are the dance performances, which utilize the vertical space with ropes and climbing rigs. 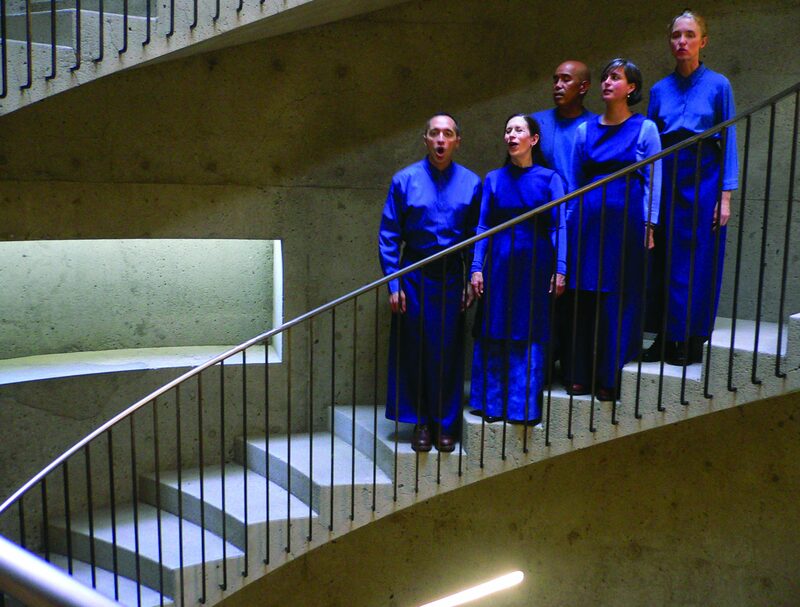 Performing arts groups now create works specifically for the tower, and the Olivers ensure that every event staged here benefits a nonprofit. Jensen’s collaboration with Ann Hamilton has become a conduit for creativity and philanthropy.